Wednesday 1st April 2015, 6:30 pm. What defines test-driven development? Does the way we write tests matter? Do different testing techniques change TDD? Are we’re not even doing TDD if we use them? I'll share some thoughts on the nature of TDD, illustrated with stories from recent projects. 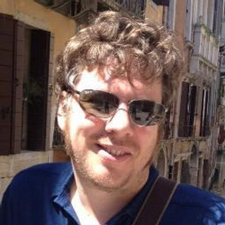 Nat Pryce is a co-author of Growing Object­-Oriented Software Guided by Tests. An early adopter of XP, he has written or contributed to several open source libraries and tools that support TDD and was one of the founding organizers of the London XP Day conference. He has worked as a programmer, architect, trainer, and consultant in a variety of industries, including sports reportage, marketing communications, retail, media, telecoms and finance, and has delivered business-critical systems that range from embedded devices to large compute farms supporting global business.